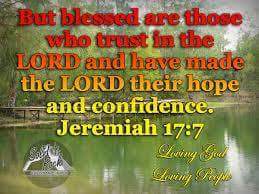 Trust in the LORD with all of your heart; and lean not unto your own understanding. -We cannot trust in God and lean to our own understanding at the same time. It will not work. -Too often while we are trusting the Lord we let our own understanding get in the way. -In all our ways the Lord must be acknowledged. -God directs us in ALL things. -We cannot be wise in our own eyes. Meaning that we must cease from our own wisdom and only function in the Wisdom of the Lord. -Our job is to always cooperate with God on His terms. We are workers together with Him, 2 Corinthians 6:1. -Let us be lead by the Lord our Shepherd and by His Holy Spirit as we continue to live by every word of God. +++Blessed we are and blessed we will always be and to God be all the glory. Amen! ← ALL HAVE SIN,AND FALL SHORT OF THE GLORY OF GOD….